Along with our mascot trackers, this category displays all the recent visits for mascots on Club Penguin Rewritten. The Migrator has docked on Club Penguin Rewritten at the Beach! 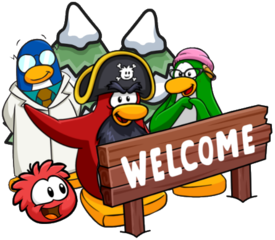 It contains a new selection of rare items but in order to explore the whole ship, you will need Rockhopper’s key. There’s a few items you can obtain by clicking the bottom right icon in the Ship Hold, such as a Stuffed Parrot! Along with this, Rockhopper has already started visiting the island. He made an appearance yesterday and was tracked by the tracker, but will return again! Here is his new background which he is offering. 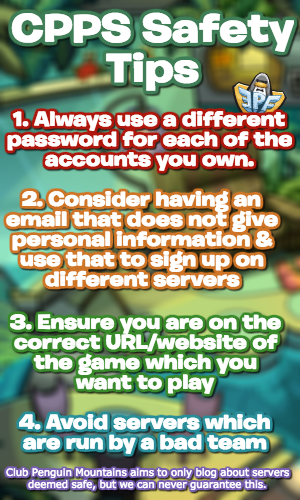 Good luck meeting Rockhopper if you haven’t already! Waddle on! Aunt Arctic has made her first appearance for the 2nd Anniversary Party on Club Penguin Rewritten, and was also tracked by the tracker! She offered this background, which hasn’t been available before. Congratulations if you met her, but good luck next time if you didn’t! This is just a quick post to let you know that DJ Maxx is visiting for the Winter Fiesta and has a new background! It’s called “DJ Maxx’s Fiesta Giveaway” and it looks really cool. DJ Maxx is definitely going to make several more visits this week, so good luck meeting him! Thank you very much for reading, waddle on! This is just a quick post to let you know that Rockhopper made an appearance today on the server Zipline! He was tracked by the tracker, and he had the same background as he did last year. Congratulations if you met him, but don’t worry if you didn’t, he’s almost certainly going to return! Good luck! 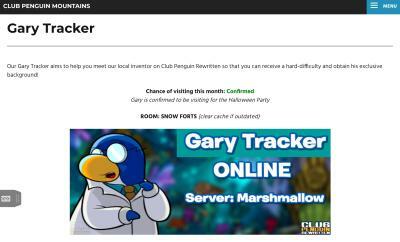 This is just a quick post to let you know that Gary visited today on Club Penguin Rewritten! He was on the server Marshmallow and was tracked by the Gary tracker! Gary also had a new background themed around Halloween, and this party will probably be the only chance to get it since Gariwald is in the background! Here’s how the new background looks like. You can also view “proof” he was tracked here. Congratulations if you met him, and good luck next time if you didn’t! Also, don’t forget about the event later today on the server Marshmallow at midday (PST) or 7PM GMT, it’ll hopefully be a lot of fun!